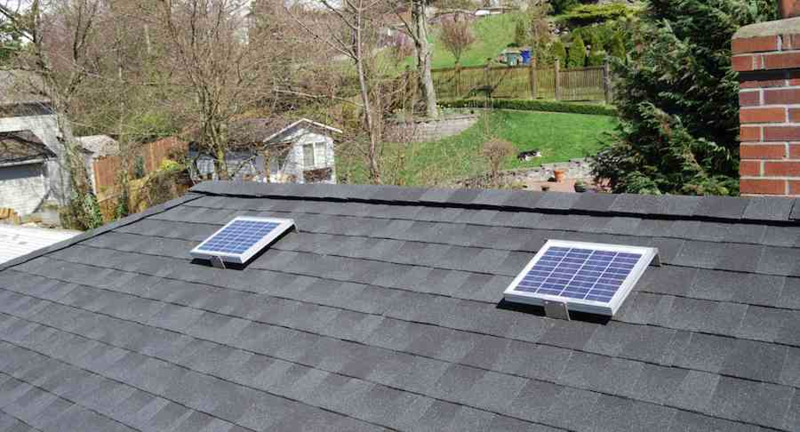 Get the maximum benefit from ridge ventilation by adding our Solar RIDGEblaster™ roof fans and solar panels for a clean and green solution to boost your attic ventilation. 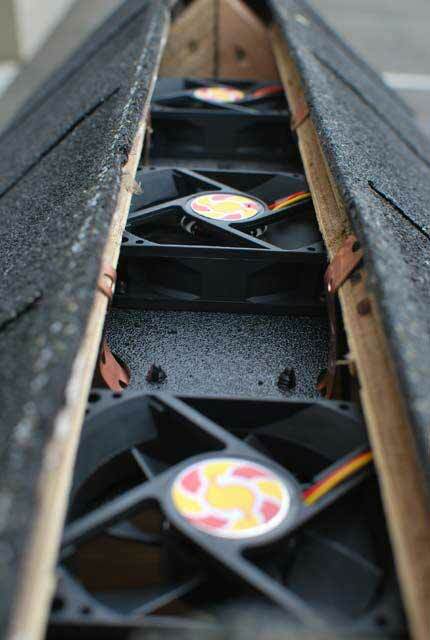 Remove hot attic air from the highest point even more effectively with Solar RIDGEblaster™! Ridge venting is one of many passive roof vent options that you can choose from. But like all passive roof vents, they only work when there is a breeze. So what happens on those stiffling, hot days where there is no air movement? Literally, you end up with an oven on top of your living space. How does a Solar RIDGEblaster™ prevent an attic from turning into an oven? 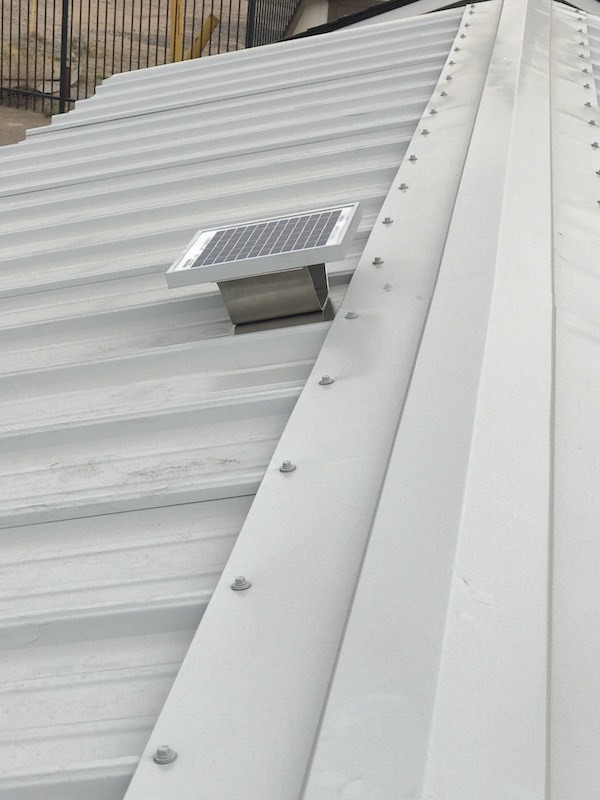 A Solar RIDGEblaster roof vent turns that passive vent into a vent that works regardless of lack of wind and even works on overcast days. Your attic's heat will be pulled out much more efficiently. So while the sun is the source of all your attic heat, it can also be put to work in pulling that hot air and moisture out. This solution is a very economical way for you to solve your attic heat problem. How do you install a Solar RIDGEblaster? Here is a video of Jon from Northern Star Roofing Adventures installing a Solar RIDGEblaster. The three fan configuration allows the fans to turn on individually and gradually as the sun rises and produces more and more solar energy. 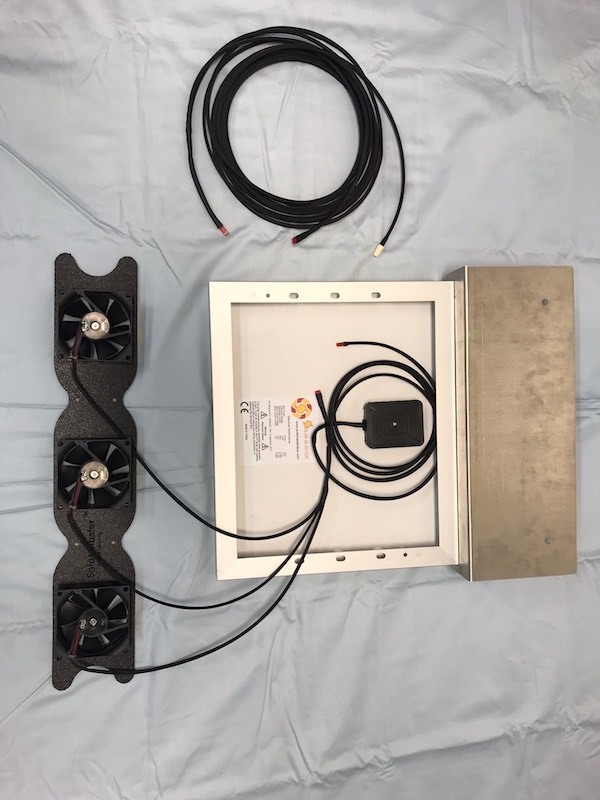 If your application of this product requires a longer cable than the one included, we are now offering a 16' extension cable that can be connected to a switch. 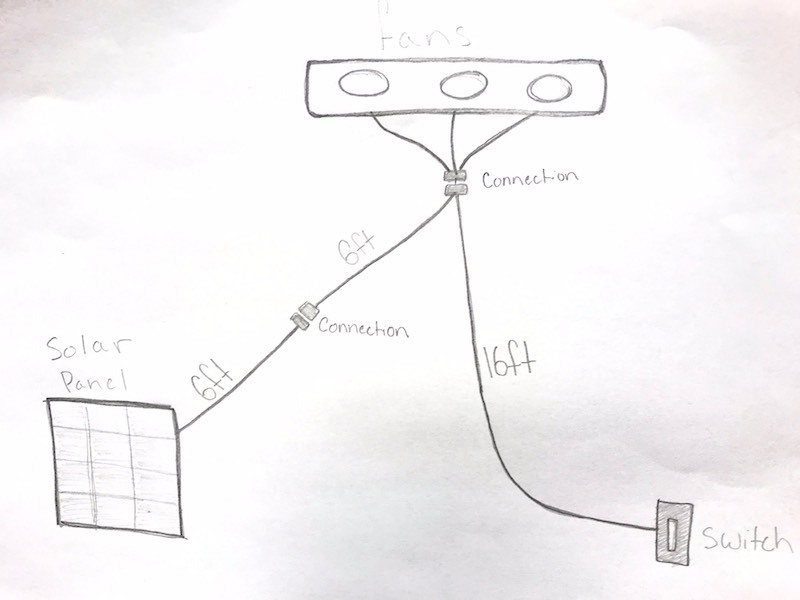 This cable includes a 7ft long section that runs from the fan to the solar panel and a second 16ft long section that runs from the panel to a switch. Wire it to a switch of your choosing (not included). 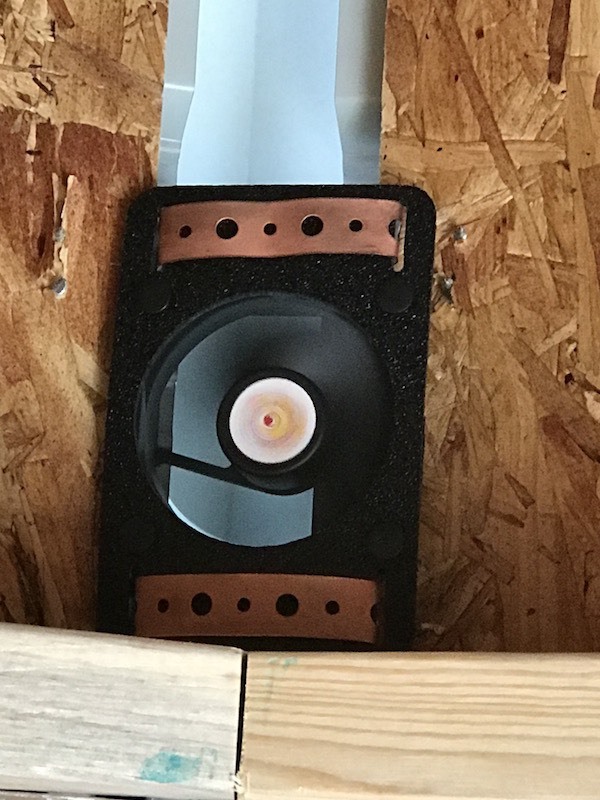 This accessory works alongside the Solar RidgeBlaster and Metal RidgeBlaster only. 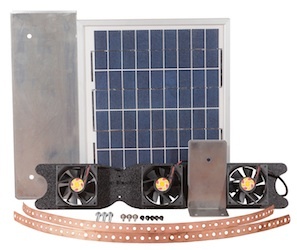 Introducing our brand new Solar metal RIDGEblaster™ roof fan and solar panel for boosting your attic ventilation on metal roofs. 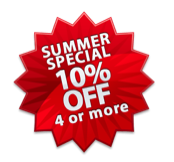 It is a perfect application for sheds, garages and even homes with metal roofs. 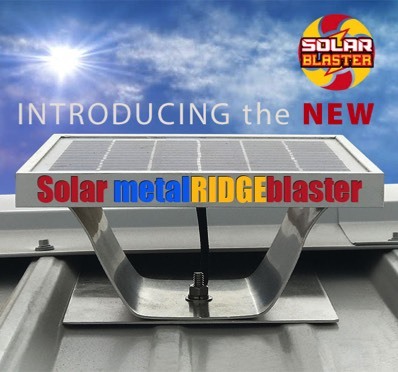 Remove hot attic air from the highest point even more effectively with Solar metal RIDGEblaster™! So how does this attach to a metal roof? Glad you asked. 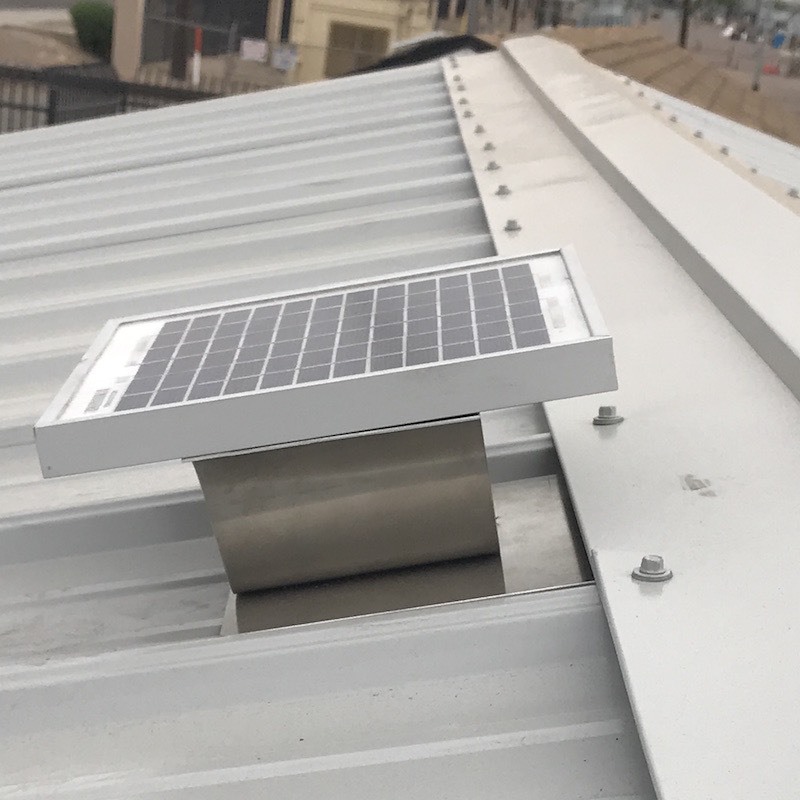 Before installing the final ridge vent cover, you attach the floating footprint flashing under the ridge vent cover with the fan attached using the copper-clad mounting brackets right inside the ridge vent opening. Then connect the two ends of wire to the panel and that's it. Our RIDGEblaster products include maintenance-free flashings. This features a very clean-looking installation application. Can this be installed on a metal roof that already has ridge venting? Ideally, these vents and fans should be installed before the ridge vent cover is installed. 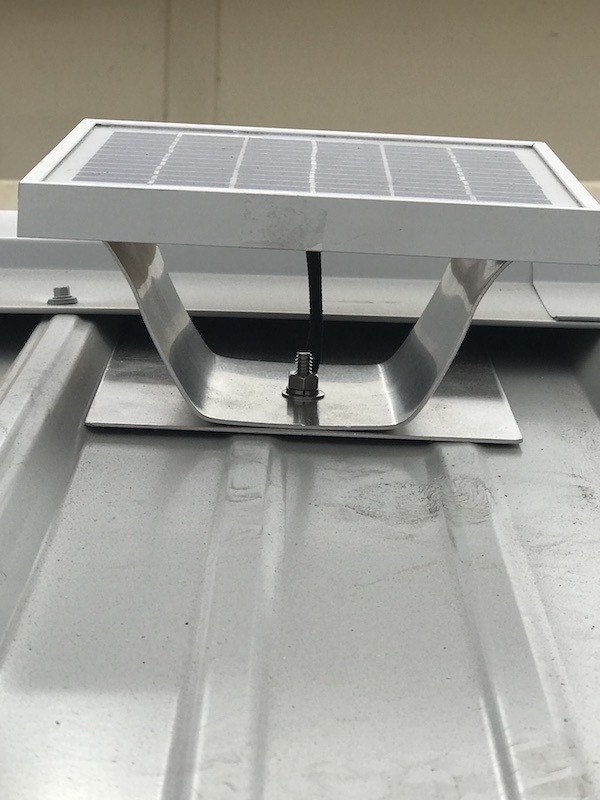 But if you know how to remove your ridge vent cover, then by all means, you will certainly be able to install our Solar metal RIDGEblasters on your roof. unique under ridge fastening system that requires no fasteners through the metal roof. floats on top of the metal sheeting and is secured under the ridge vent cover.